Please type your desired tags, e.g. Infectious Disease, Political Economy, Cognition and Neuroscience, Communication Sciences and Disorders, Psychological Sciences, Institute for Urban Policy Research, Information Theory, renewable energy, Motherhood & Reproduction, Gender Equity, Creative Writing, Leadership, Poetry, Identity and Selfhood, Nineteenth and twentieth century feminist, and etc. Paul Fishwick joined UT Dallas in January 2013. 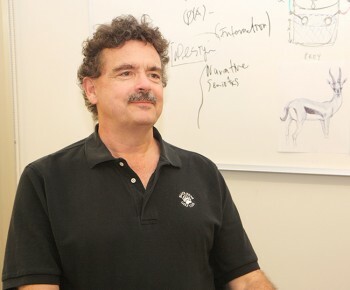 He is Distinguished Endowed Chair of Arts and Technology (ATEC) and Professor of Computer Science. He has six years of industry experience as a systems analyst working at Newport News Shipbuilding and at NASA Langley Research Center in Virginia. He has been on the faculty at the University of Florida since 1986, and is Director of the Digital Arts and Sciences Programs there. His PhD was in Computer and Information Science from the University of Pennsylvania. Fishwick is active in modeling and simulation, as well as in the bridge areas spanning art, science, and engineering. He pioneered the area of aesthetic computing, resulting in an MIT Press edited volume in 2006. He is a Fellow of the Society for Computer Simulation, served as General Chair of the Winter Simulation Conference (WSC), was a WSC Titan Speaker in 2009, and has delivered over fifteen keynote addresses at international conferences. He is Chair of the Association for Computing Machinery (ACM) Special Interest Group in Simulation (SIGSIM). Fishwick has over 200 technical papers and has served on all major archival journal editorial boards related to simulation, including ACM Transactions on Modeling and Simulation (TOMACS) where he was a founding area editor of modeling methodology in 1990. He enjoys making bridges connecting Arts and Humanities with Engineering, Mathematics, and Computer Science. He is most active in the areas of Modeling and Simulation, as well as Virtual Analog Computing, an extension of Aesthetic Computing. As the Edith O’Donnell Arts and Technology Building opens this semester, new faculty members are arriving on campus to further the research and projects taking shape in the recently constructed labs and classrooms. 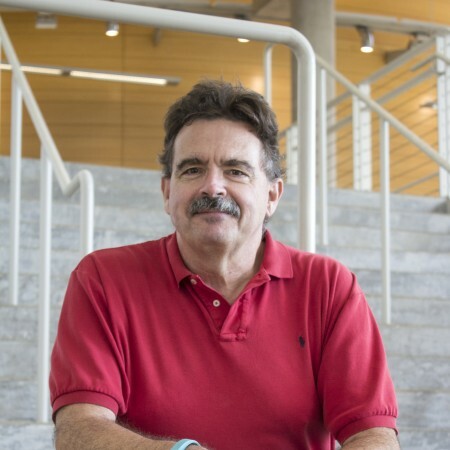 Dr. Paul Fishwick, who holds dual appointments as the ATEC Distinguished University Chair and as a professor of computer science, will lead a lab aimed at bringing human elements to the STEM fields (science, technology, engineering and mathematics).